South Korea Monday halted trade with North Korea as part of a package of reprisals for the sinking of one of its warships, drawing strong US support but threats of attack from the communist state. President Lee Myung-Bak also banned the North's merchant ships from South Korean waters and said Seoul would refer the March 26 attack -- which killed 46 sailors -- to the United Nations Security Council for punishment. In a nationally televised address, a sombre-looking Lee vowed an immediate military response to any future aggression, saying South Korea had in the past repeatedly tolerated the North's "brutality." "But now things are different. North Korea will pay a price corresponding to its provocative acts," he said, demanding an apology for the sinking of the Cheonan, a 1,200-tonne corvette. US President Barack Obama directed his administration to review North Korea policy and commanded his armed forces to work closely with South Korea "to ensure readiness and to deter future aggression," the White House said. 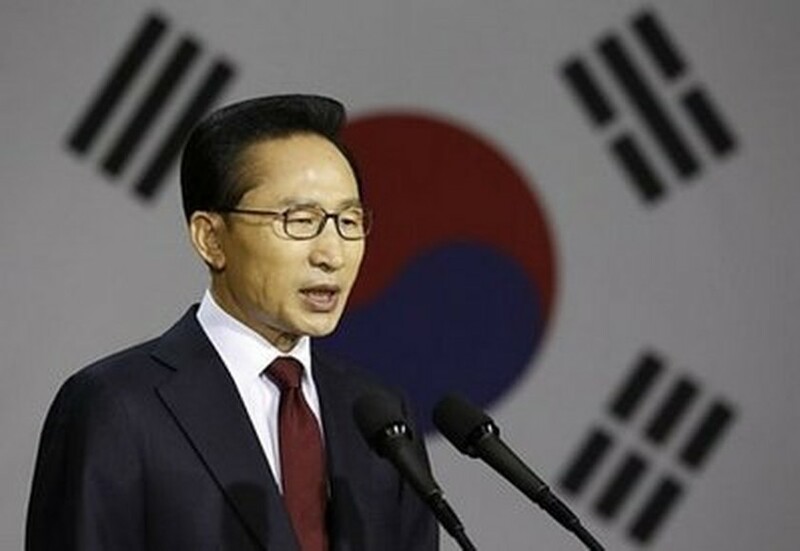 South Korean President Lee Myung-bak delivers a speech at the War Memorial of Korea in Seoul. North Korea reacted angrily to any proposed reprisals, and threatened to open fire at any South Korean loudspeakers broadcasting propaganda across the border if Seoul follows through on its pledge to install them. "From now on, (South) Korea will not tolerate any provocative act by the North and will maintain the principle of proactive deterrence," Lee said. "If our territorial waters, airspace or territory are violated, we will immediately exercise our right of self-defence." 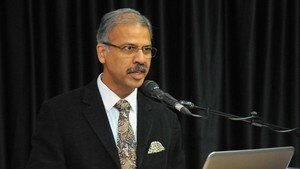 Analysts predicted cross-border tensions would remain high for months but said major conflict was unlikely. A multinational investigation team Thursday reported finding "overwhelming evidence" that a North Korean submarine fired a heavy torpedo which sank the Cheonan near the disputed border. The United States and numerous other nations have condemned the attack, seen in Seoul as one of the worst provocations since the 1950-53 Korean War. The North's ally China, which wields a Security Council veto, again called on all sides to show restraint. US Secretary of State Hillary Clinton, during her current visit to Beijing, is pressing China to get tough with its wayward ally. She goes on to Seoul Wednesday. "We are working hard to avoid an escalation," Clinton told reporters during a break from talks, adding she was in "very intensive consultations" in Beijing. Beijing later confirmed that the Chinese and US delegations had discussed the sinking of the Cheonan. "China hopes the parties will maintain calmness and restraint and properly deal with relevant issues," foreign ministry spokesman Ma Zhaoxu was quoted as saying by the official Xinhua news agency after the talks. In Tokyo, Japan said it supported Seoul's push for Security Council punishment and was also studying more sanctions of its own against Pyongyang. Seoul's Defence Minister Kim Tae-Young said the US and South Korean navies would soon stage an anti-submarine drill off the west coast and his government would resume the border broadcasts halted six years ago. Pentagon spokesman Bryan Whitman told reporters in Washington that the joint anti-submarine and other maritime interdiction exercises would be held in the "near future," without giving further details. The North says the South has faked evidence of its involvement in the Cheonan's sinking as part of a plot to ignite conflict. It threatens "all-out war" in response to any punitive moves. A spokesman for North Korea's National Defence Commission, the country's top body and chaired by leader Kim Jong-Il, described Lee as a "traitor" and termed his speech "another clumsy farce" designed to cover up the conspiracy. The North's military has separately expressed anger at new moves to wage psychological warfare, vowing to open fire at propaganda posters or loudspeakers on the southern side. In his strongly worded speech, delivered symbolically from Seoul's war memorial, Lee said trade and exchanges would be suspended since any cooperation was "meaningless" under present circumstances. He exempted the jointly run Kaesong industrial estate just north of the border and humanitarian aid for the North's children.